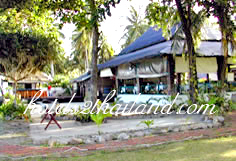 Samui Marina Cottages is a small resort and this enables us to give a personal service to ensure that you get as much or as little out of Koh Samui as you want. 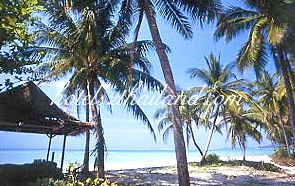 We prides our self on the friendliness and efficiency of our staff, who will guarantee that you relax and have the holiday of a lifetime. 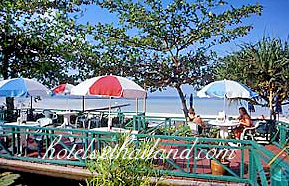 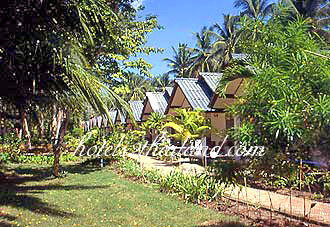 Samui Marina Cottages is nestled in the bay of Ban Na Kai on a tranquil, unspoilt beach. 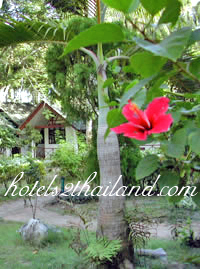 The resort is surrounded by lush, tropical gardens and has 40 clean well equipped bungalows with modern facilities such as air conditioning, fully stocked mini-bar, satellite television with in-house video station and western bathroom. 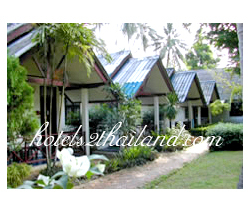 While staying with us you have use of all of the resorts facilities which include an Olympic sized swimming pool, fitness room, snooker hall and boutique.